Whether sitting indoors or out, the view of Main Range is simply spectacular from Kooroomba Vineyard’s restaurant. Surrounded by rows of meticulously planted grape vines and lavender, the expansive vista is hard to take in. It’s a one-stop shop where you can have lunch or morning or afternoon tea, shop for lavender products and taste a wine or two. 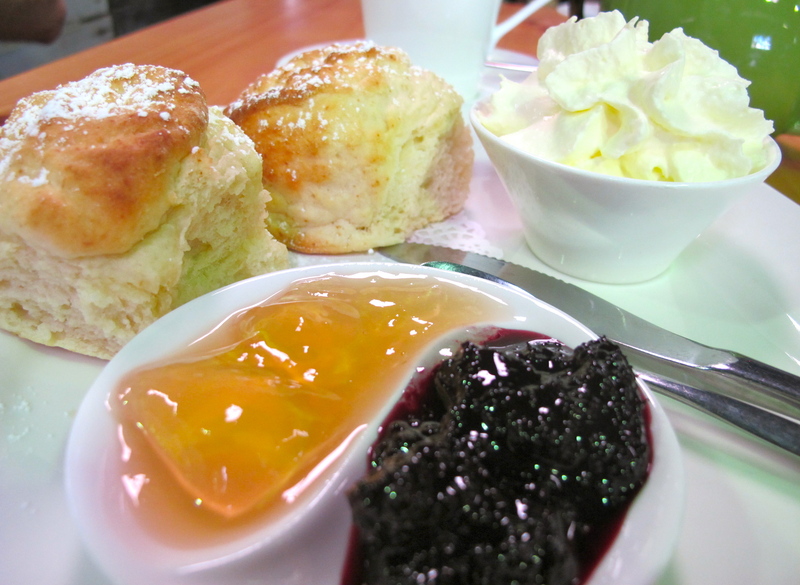 The scones are served crusty and fresh with superb jam and thick lovely cream. It’s the perfect stop when you need a break from touring the vineyards or hiking in Main Range National Park. Tea: Variety of loose-leaf tea. Try the lavender tea it’s their specialty. It’s a long drive to Sutton’s Shed, but if you are passing through on the New England Hwy there’s absolutely no excuse to stop in. Wander in to the corrugated iron shed that acts as the shop, selling apple juice, cider and jams and a small cafe selling their famous apple pies and light and fluffy scones. 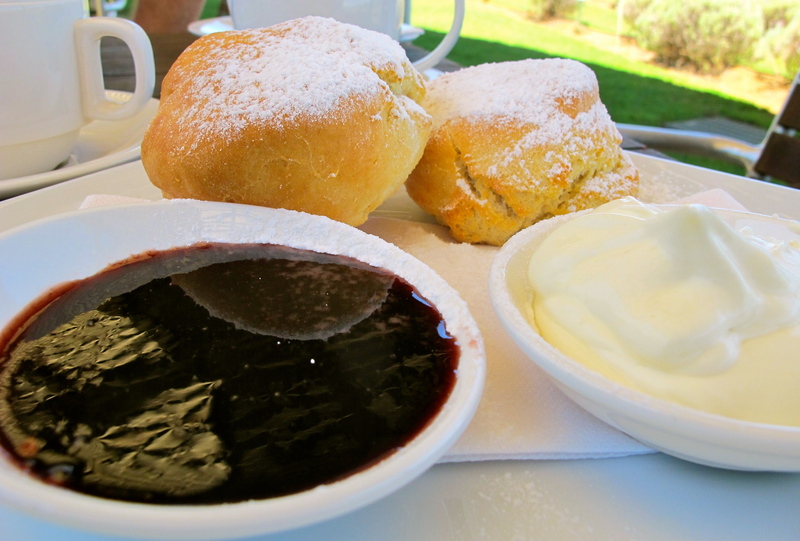 The Devonshire Tea is served with not one but two homemade jams; mulberry and apple jelly. The let down to this delightful ensemble is the cream which is light, airy and out of a can. It’s an apple farm so don’t forget to stock up on apples and fresh apple juice. Tea: Four varieties of loose-leaf tea in small pots.